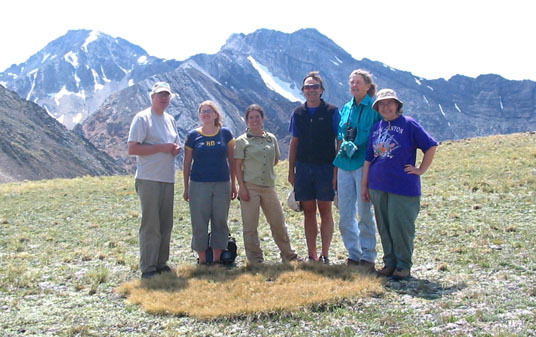 Photo of an INPS field trip taken in July at 10,000 ft. on top of Railroad Ridge in the White Cloud Mountains of Central Idaho. Thursday, March 10, 7:00-8:30 PM at the Sawtooth Botanical Garden, Ketchum, Idaho, Wallace Keck will do the PowerPoint presentation: “City of Rocks.” For more information contact Cynthia Langlois at 509.879.7419 or CPLangloisACRP@msn.com. Monday February 29, 7:00-8:30 PM at the Sawtooth Botanical Garden, Ketchum , Idaho, Robert Garcia USFS will give the PowerPoint presentation: “Range Management”. For more information contact Cynthia Langlois (509) 879-7419 or CPLangloisACRP@msn.com.